We are approaching Wedding Season once again (but isn’t it always wedding season?) and with weddings come a lot of money spent on dresses, flowers, rings, and cake. Most people keep it fairly traditional, but there are always the outliers, the rebels, those people who do not like the idea of fitting in and would never conform, even on their wedding day. 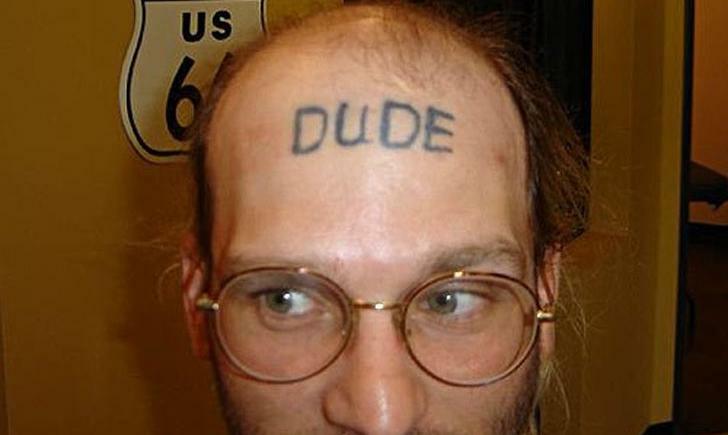 We know plenty of them who are fans of this site, hence the whole reason why they express themselves by getting tattoos! 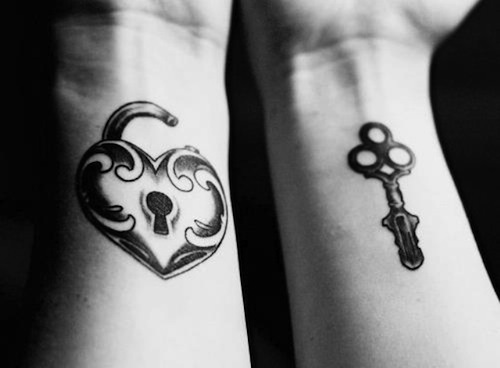 For those couples are don’t fit into the cookie cutter image of society and certainly not a traditional wedding, wedding tattoos are a much better option to show devotion than an overpriced diamond ring. 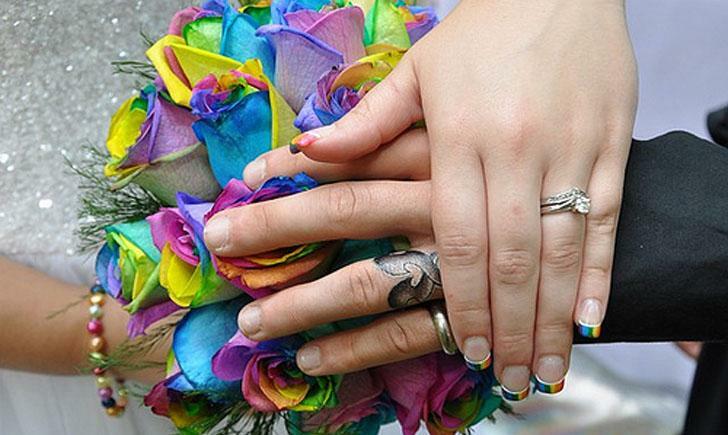 Some couples choose to get a unique “ring” tattoo on their wedding ring fingers. 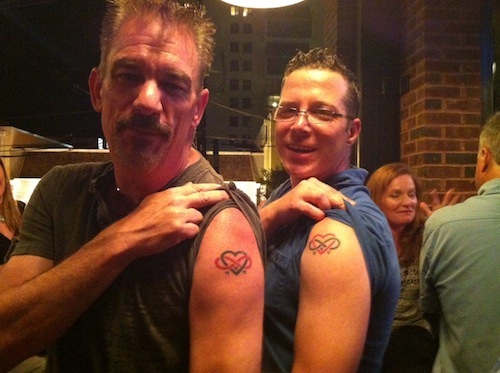 Others just decide to opt out of the whole ring idea entirely and get matching tattoos wherever they please. Dates and infinity signs are becoming a popular wedding tattoo trend. Whatever it is that these couples choose, it is sure to be meaningful to them, and not something that can be pawned. Keep in mind that tattoos are forever, even after death, so technically, these tattoos will last longer than the marriage, no matter low short, or how long! 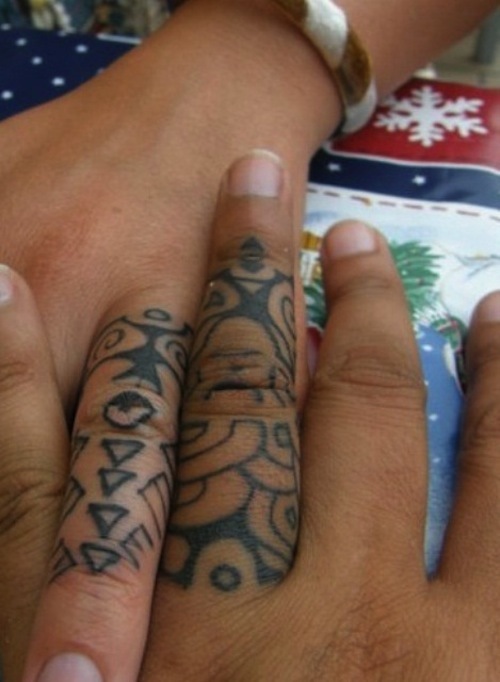 Not related to a ring at all, but instead, matching geometric, snowflake tattoos. Beyond ‘Til Death Do You Part. The date and a personal, meaningful message, to commemorate the union. 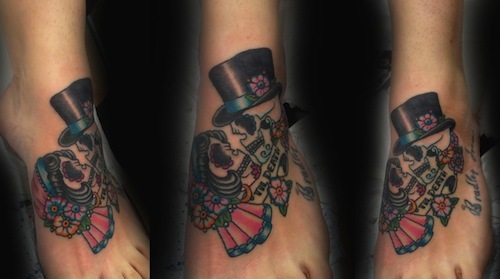 Gorgeous Dia de los Muertos couple for a wedding tattoo. Lovely tribal wedding bands on ring fingers. This might be the most touching of all. This bride has struggled with diabetes for her who life and has had to wear an insulin pump. 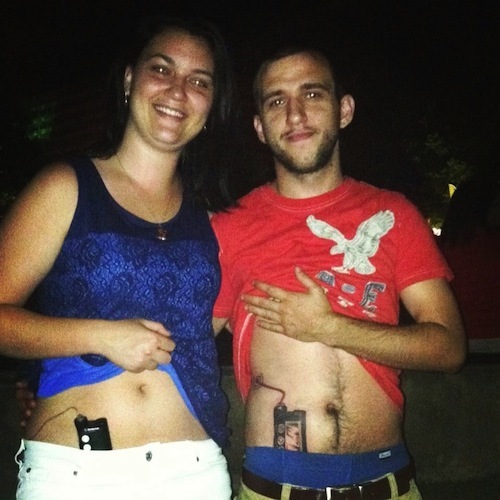 Her then-fiancé decided to get a matching tattoo of the pump on himself, as a symbol of his love for her. That’s love.